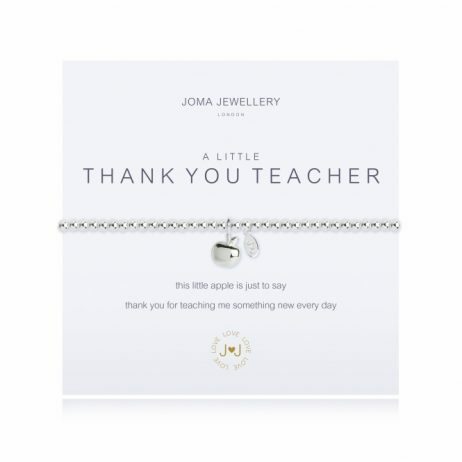 Free Delivery when you buy today, your Joma Jewellery a little Thank You Teacher Silver Bracelet arrives in a white Joma Jewellery gift bag with silk ribbon tie and gold gift tag. 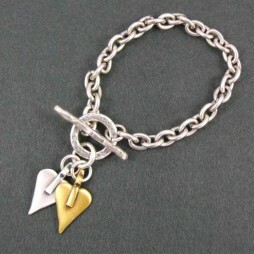 Joma Jewellery was established in 2008, to create and celebrate timeless beautiful jewellery. They still have the exact same vision now that they had then. From their first capsule collection put together during their journeys through the Far East. They have actually been extremely fortunate to team up with their wonderful staff to create and grow Joma Jewellery into a country wide enjoyed brand name. 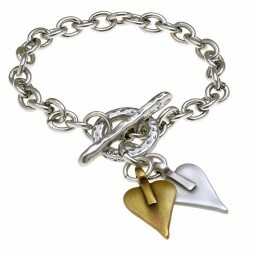 Jewellery is remarkably special and always holds valuable memories and moments that are completely unique and individual. The magnetism that each piece can hold for you, drives them to produce stunning brand-new pieces every season, for each moment. This has actually been, by far the most interesting journey of their lives and they hope you love it as much as they do. 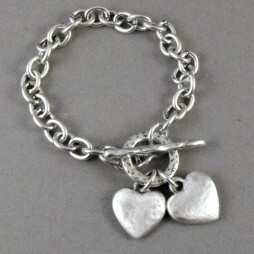 Joma Jewellery a little, Teachers' Gifts, Thank You Gifts, Gift Ideas, Gifts £0 To £20, Bead Bracelets, Bracelets, Silver Bracelets, Joma Jewellery, Teachers' Gifts.